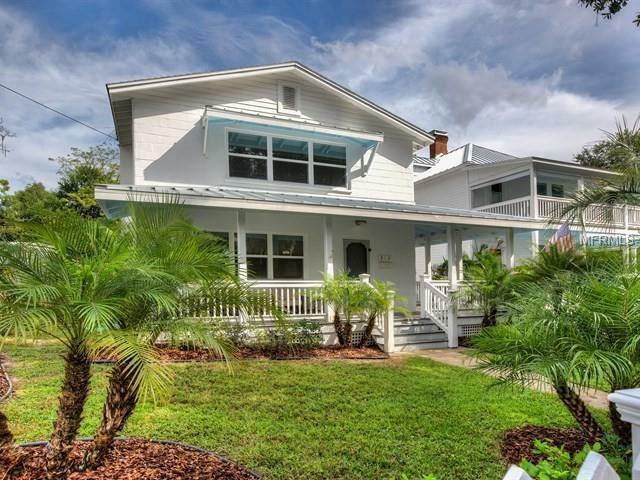 MOUNT DORA RENTAL SUITES IN THE HEART OF DOWNTOWN! AVAILABLE APRIL 2019. 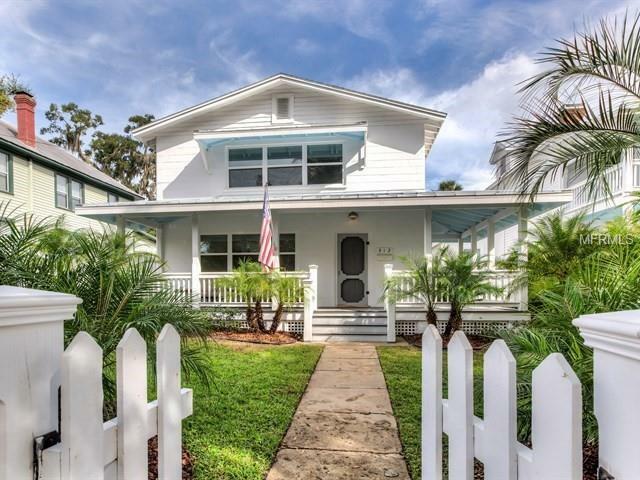 Completely renovated in 2018 this Old Florida Classic style home in the perfect location -walk to to historical downtown shops, restaurants, waterfront, marina and boardwalk. 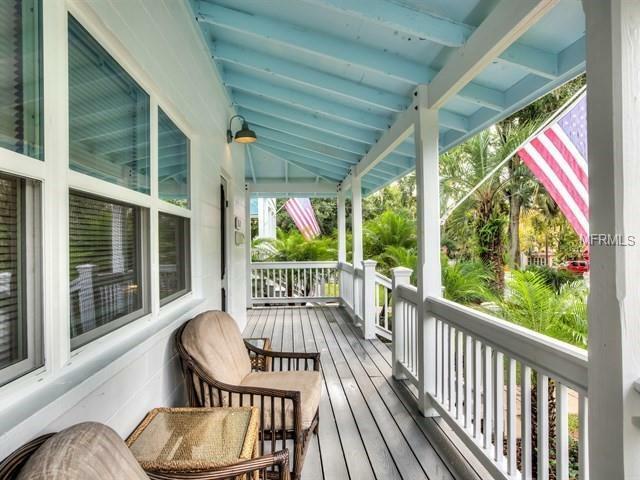 Sit on the new covered wrap around front porch and enjoy a morning cup of coffee or cocktail at sunset and take a stroll downtown to shops, restaurants & waterfront or to the Farmers Market on Sundays! 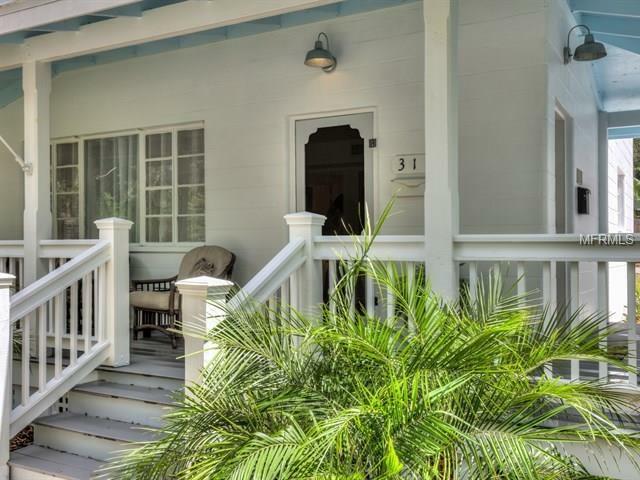 These charming one bedroom one bathroom suites are the perfect getaway. Both units have new wood look laminate flooring throughout. Living rooms have sofa's & reclining chairs with flat screen smart TV's and electric fireplaces. New kitchens have eat in area with white cabinets, quartz counter tops & stainless steel appliances. Bathrooms have new vanities with quartz counter tops, shower and tub with subway tile. Bedrooms feature closet, wall mounted flat screen smart TV's, queen sized bed & bedside tables. Downstairs has covered front porch, upstairs has a private screened back porch, downstairs screened back porch has a shared washer and dryer. Each unit has a private parking space in the rear. Rent included utilities, water and internet. Just bring your toothbrush and a good book, sit back and relax! 30 day minimum. Call for annual, seasonal rents and discounts.